Avoid opening your freezer frequently when trying to freeze yogurt; opening the door will allow the cold air to escape and cause the freezing time to be longer. Make it your own! 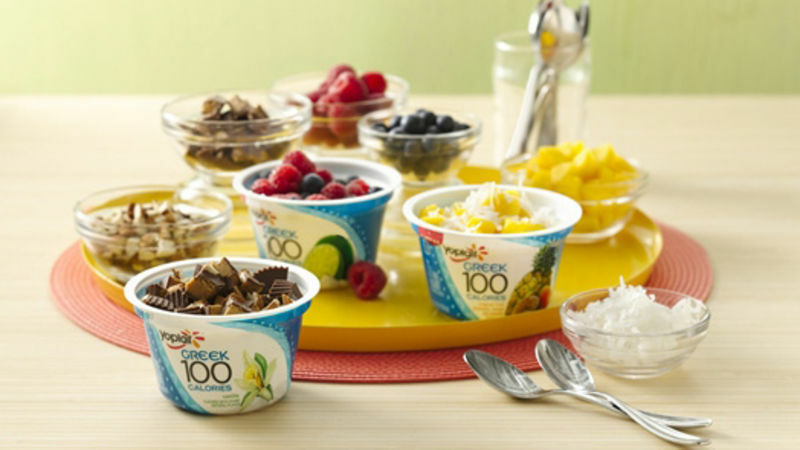 This recipe works with all varieties of Yoplait® Greek 100 yogurt; mix and match with your favorite varieties and toppings.